Tomorrow in the Fromagination shop we’ll have two guests in to talk to visitors about cooking with cheese…particularly Wisconsin cheeses. 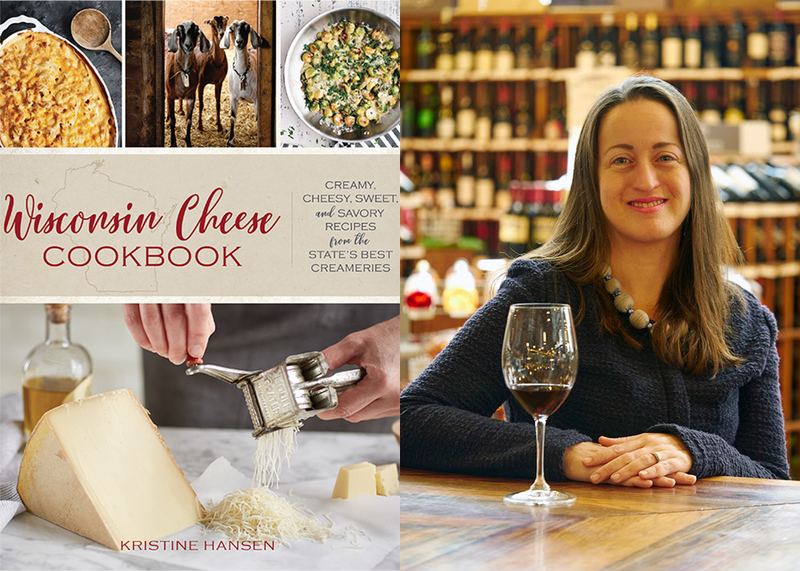 Kristine Hansen, author of the newly released “Wisconsin Cheese Cookbook,” will be in the shop from 1:00 to 2:30 p.m. to discuss recipes from her book with Landmark Creamery co-founder Anna Thomas Bates. It should be a great discussion of how to use wonderful cheeses in the kitchen. We will be sampling outstanding sheep milk cheeses from Landmark in the shop at the same time: Anabasque and Pecora Nocciola. Landmark is featured in the cookbook, and Thomas Bates may explain how and why the creamery has flourished. This cookbook is a thorough, but affectionate look at the people and places that comprise the artisan cheese “movement” in Wisconsin. It also provides a background explanation for why Wisconsin producers dominated the finalist entries in the U.S. Cheese Championship this week in Green Bay. Hansen divides the state into four quarters (Madison is included in the venerable southwest quarter, it seems) and visits key producers in each area, including quotations from cheesemakers about why and how they do their work. On top of that, the images provide beautiful context to this Wisconsin cheese story…oh, and there a bunch of excellent recipes included, too! The Wisconsin Cheese Cookbook also mentions lots of our neighbors here in Madison, with reference to the impact on the cheese culture, such as the Edgewater Hotel, Sujeo restaurant and Chef Tori Miller, the famous Dane County Farmers Market, and more. And, by the way, Fromagination is also mentioned in Kristine’s book…page 37! Visit the Fromagination shop tomorrow afternoon to learn more about Hansen’s adventure among the cheese producers.